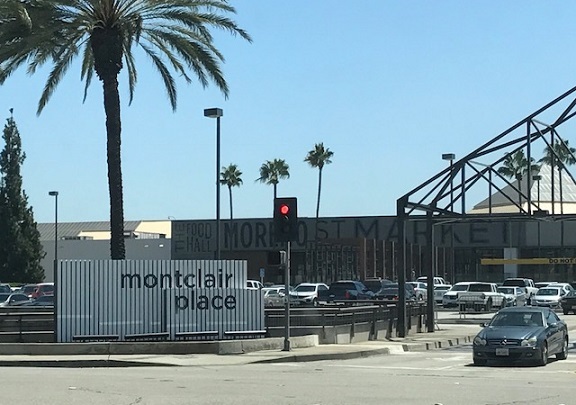 Oli’s won a pop-up contest to join the Montclair mall’s new Moreno St. Market food court and opened Aug. 17. 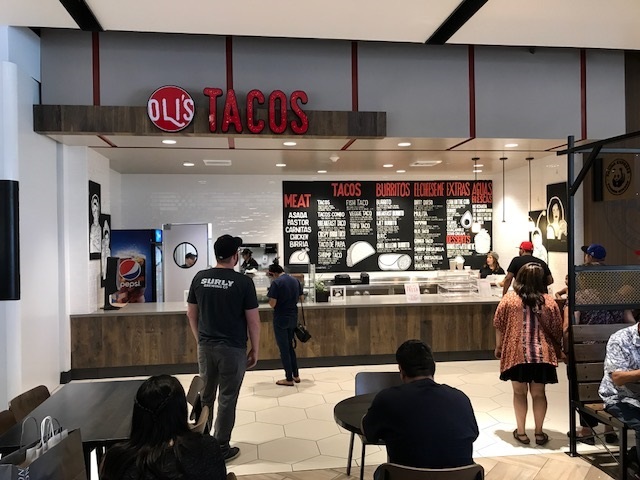 Owned by the mother-daughter team of Olivia Medina and Evelin Sanchez, Oli’s had operated from a small location at 1442 S. Euclid Ave. in Ontario, but now that’s closed for a shot at the big time: gleaming and relatively spacious quarters inside a popular mall. Because Oli’s may be there for only a limited time, I checked it out for lunch last Sunday. The food court has been relocated within the mall, still accessible from the parking deck off Moreno, but with an inviting entrance and sign, the first, I believe, to use the mall’s new name of more than one year. Baby steps. 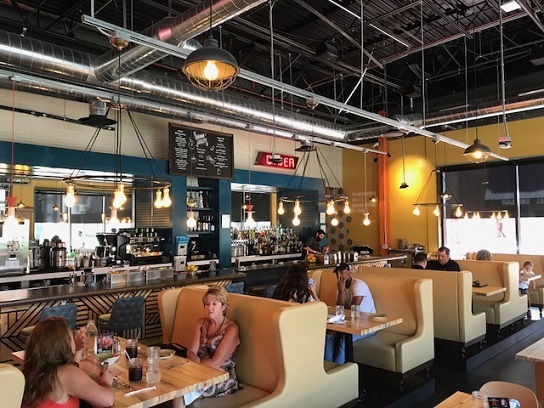 Although the old Arboreatum got points for its punning name, Moreno St. Market is a step up in design, and the varied seating is appealing: tables, small booths and counters, with some plush furniture nearby. Rather than the usual horseshoe or L-shaped layout, eateries are on opposite sides of the walkway, with seating (and escalators) in the middle. The offerings are trendier: Pokeway, Noodle World Jr., Boba World, Stickhouse and Oli’s, plus holdover Panda Express. In other words, it’s virtually all Asian except for Oli’s and Stickhouse, which is ice cream. 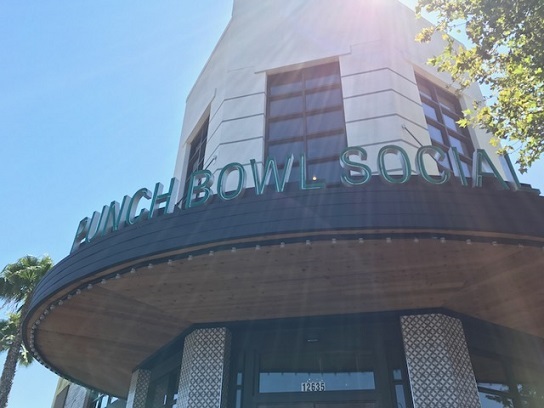 Two or maybe three more spaces, cleverly concealed, are set aside for future eateries. Oli’s had a line, and signs advised patience as they’ll be making your food from scratch. At least at that moment, it was the most popular business in the food court. 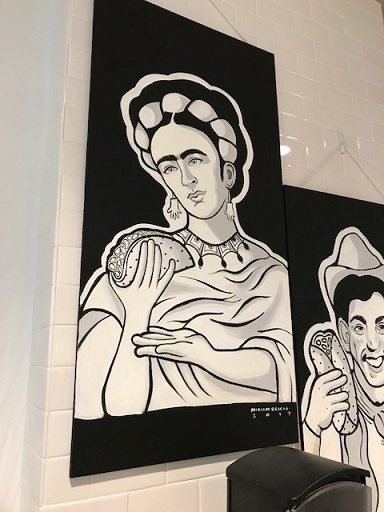 You can get regular tacos, quesadillas and burritos with typical taqueria meats, but they also have some specialty items like vampiros and mulitas, vegetarian and vegan options, aguas frescas and handmade tortillas. I got an asada taco and a birria taco ($2.25 each), a shrimp taco ($3) and a strawberry guava agua fresca ($3). About 10 minutes later, they were ready, an employee ladled my drink out of the jug and I repaired to a table. These were good tacos, the kind you’d get at a taqueria, either on the mean or a little above. To get them in a shopping mall was almost revelatory. 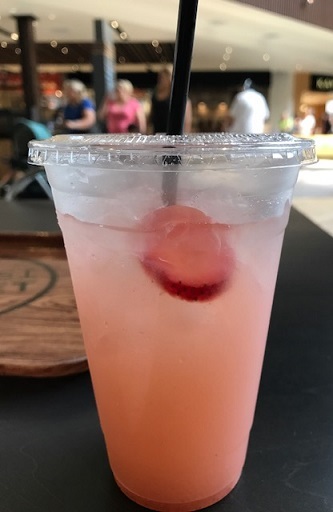 The drink was great too. 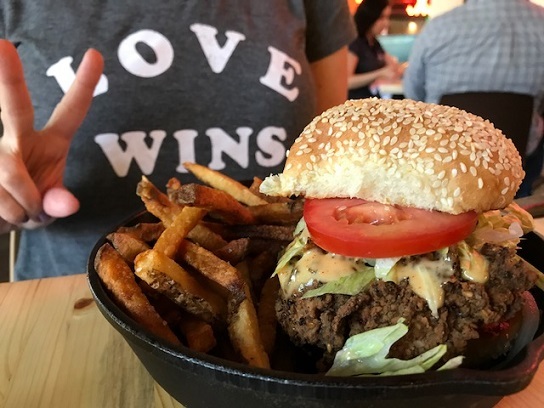 There’s a hand-crafted vibe to the Oli’s space, with stylish signs and menu board, hip art by Miriam Bricio and friendly, non-robotic service. Chipsters will love it, but so should everyone else. 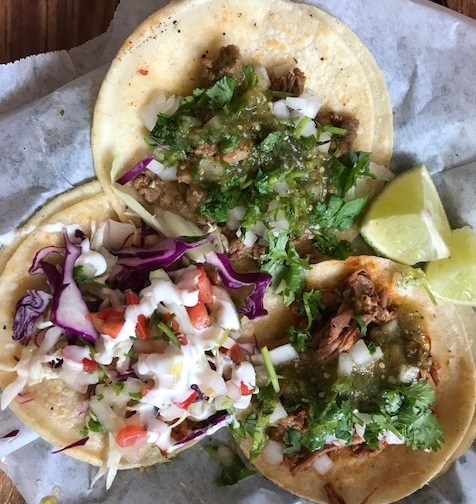 A small caveat: At your typical taqueria, three tacos and a drink would not cost $11. But the food is good, and maybe Oli’s has mall-type expenses, so grant them the extra buck or two. 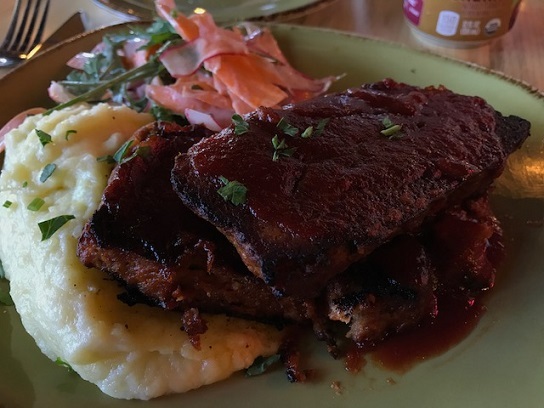 Oli’s is almost certainly the best food court restaurant in the Inland Valley, and that it’s locally owned is heartening. 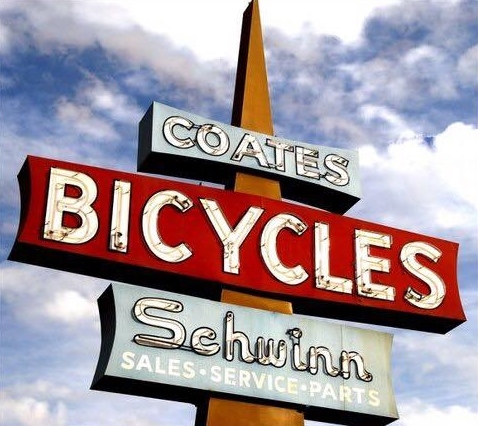 Coates Cyclery closed in February, an end to a shop that began in downtown Pomona in 1934 and moved to 760 Foothill Blvd., just west of Towne Avenue, in 1965. There was talk that a bike shop would take over the storefront, but that was not to be. 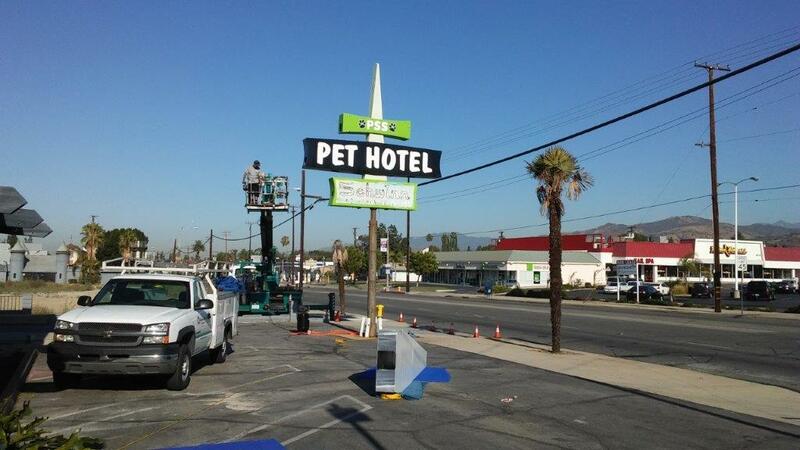 A pet hotel has moved in and altered the sign, formerly neon, while retaining its basic structure. Reader Dwight Seibert was there to take photos for posterity, as seen above and below. 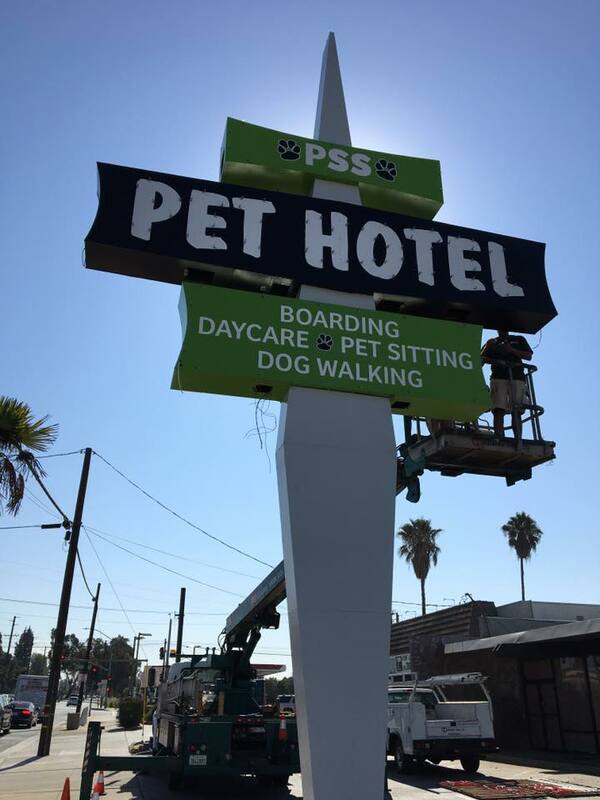 But the Museum of Neon Art’s executive director, Kim Koga, told me on my recent visit that she didn’t find the sign visually interesting enough for the museum. Context is everything. 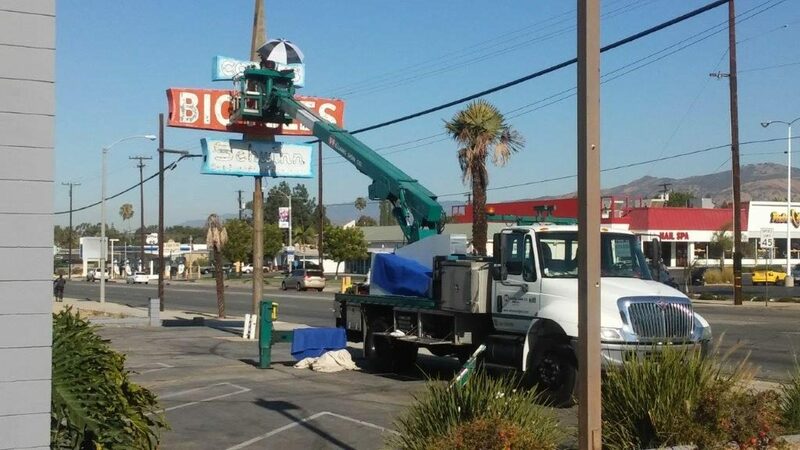 Below is a closer view posted by Grace Verhoeven on the Eye on Pomona Facebook page. 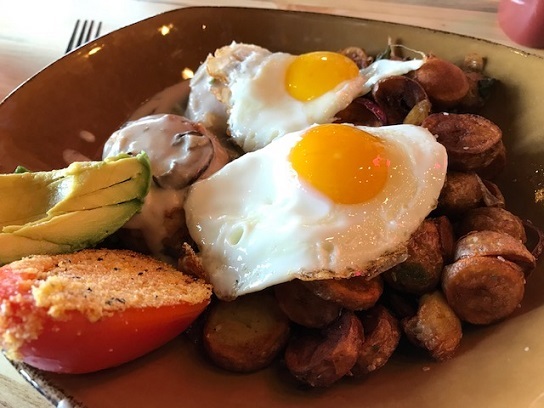 I don’t know how you stood the suspense, but Wednesday’s column, following up on last Wednesday’s, gives you the outline of my vacation to Europe, as well as explaining why this was a big deal for yours truly. Whether you’ve traveled more or less than I have, I hope you like it. 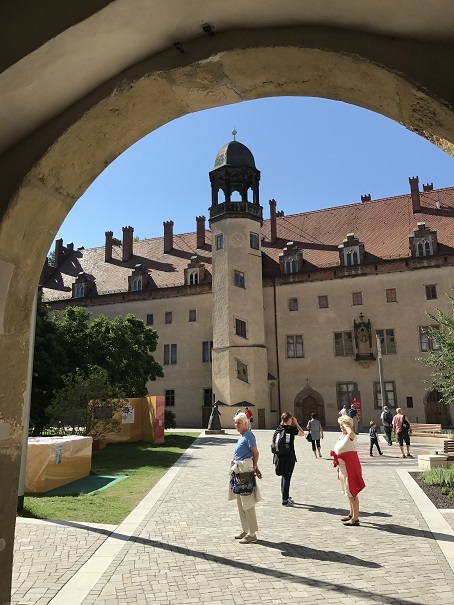 Above, a view of Lutherhaus, the former monastery in Wittenberg, Germany, where religious reformer Martin Luther and his wife lived. 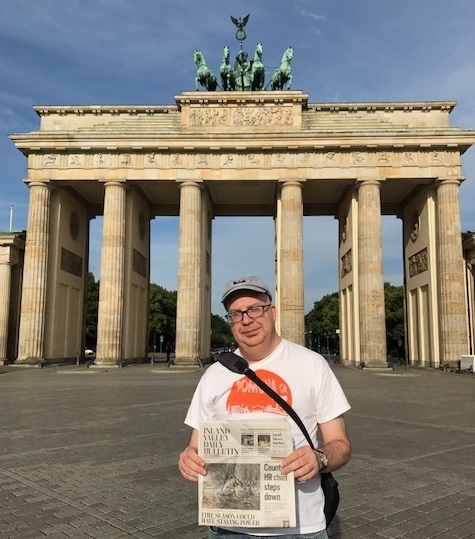 Here I am at Berlin’s Brandenburg Gate holding a Daily Bulletin and wearing a Pomona shirt. Represent! I was there early enough, 8 a.m., to get a depopulated view of the plaza. Tourists were just starting to arrive. A sports column? 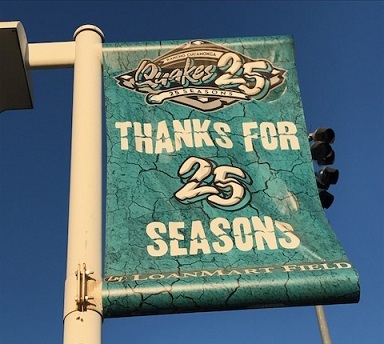 I guess so: The 25th anniversary of the Rancho Cucamonga Quakes seemed to cry out for coverage — it may have cried out “Play ball!” — and so I went to a game Wednesday night and wrote about the team and its fans for my Sunday column. Above, a banner outside the stadium; below, a view of the dugout. I’m hoping to write a fuller column on my vacation, but jumping ahead of that in line was the story of what happened to me when I got home. Namely, I’d somehow lost my house and car keys. I managed to rent a vehicle, and the only one available was kind of comical — but perfect for a humor columnist. 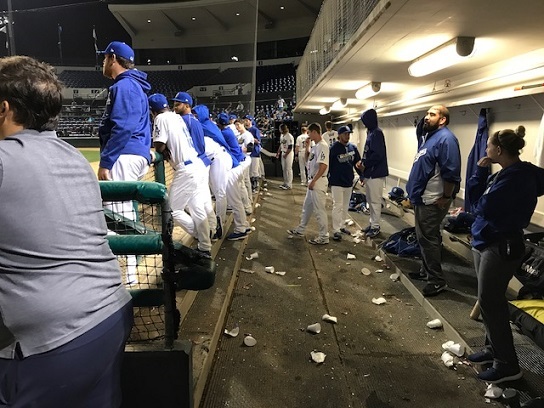 I write about the experience in Wednesday’s column. 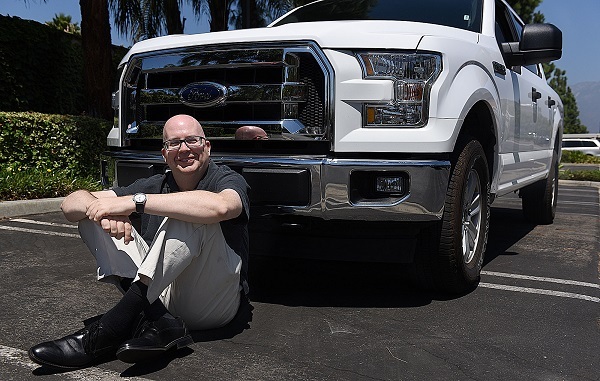 Above, shot by Rick Sforza, I’m dwarfed by my temporary ride. Our newspaper’s website has a new look, unveiled this morning. Check it out at dailybulletin.com, Here’s a guide to the changes. Ray Collins, the Mothers of Invention co-founder, lived out his last years in Claremont and was a familiar presence in the Village. 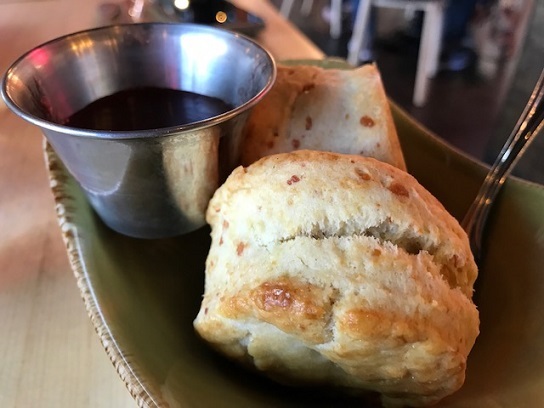 He also started his days with coffee at Some Crust Bakery, as captured in a Google panorama photo not long before his 2012 death. 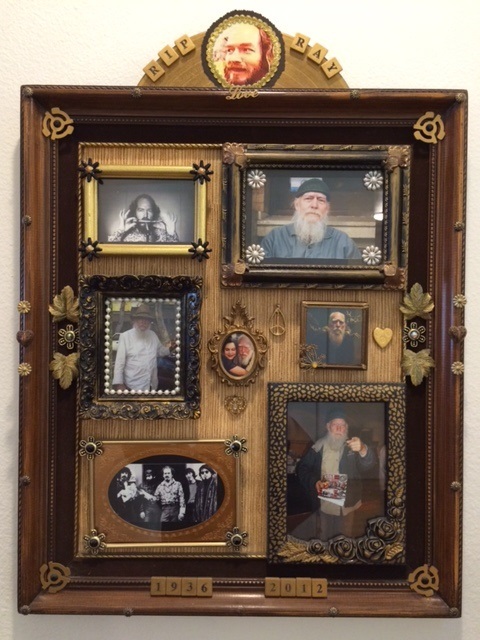 Now, Some Crust is paying permanent homage to Collins through a beautiful and elaborate memorial, a sort of altarpiece, with many little filigrees, like the 45 rpm adapters at each corner. It hangs at the end of the hallway that leads to the restrooms and kitchen entrance. It’s one of those little things that did not need to be done, but the fact that it was done speaks volumes.